This is one of my most exciting MAC Monday posts so far. Not least because I hunted high and low for this, but also because I finally got my hands on it this morning, and so this is hot off the press! 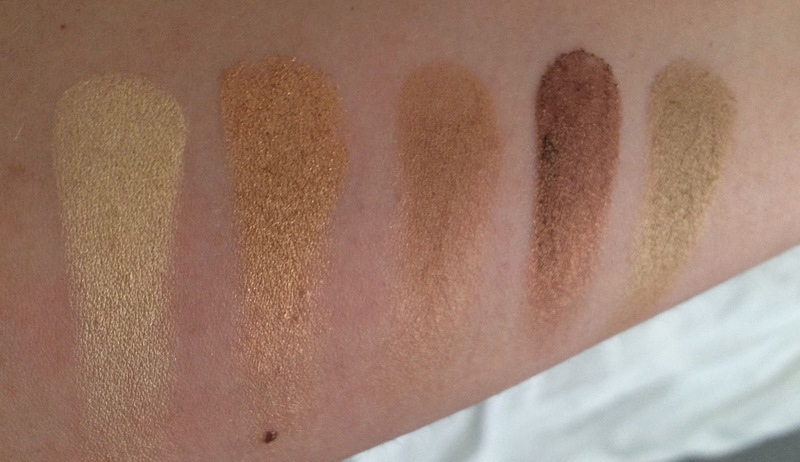 I first heard about the MAC Neutral Eyeshadow Palettes back in January. Even though I had just bought my third Urban Decay Naked Palette, I knew I would still have to have this one too. The press release revealed that in March MAC would be releasing two neutral eyeshadow palettes - one warm toned and one cool toned. Each palette has 15 full-sized eyeshadows and is £65. I admit I drew a sharp breath when I first saw the price, but actually by MAC standards this is great value. If you were going to build your own 15 shadow palette using the pro-palette system it would cost much more. 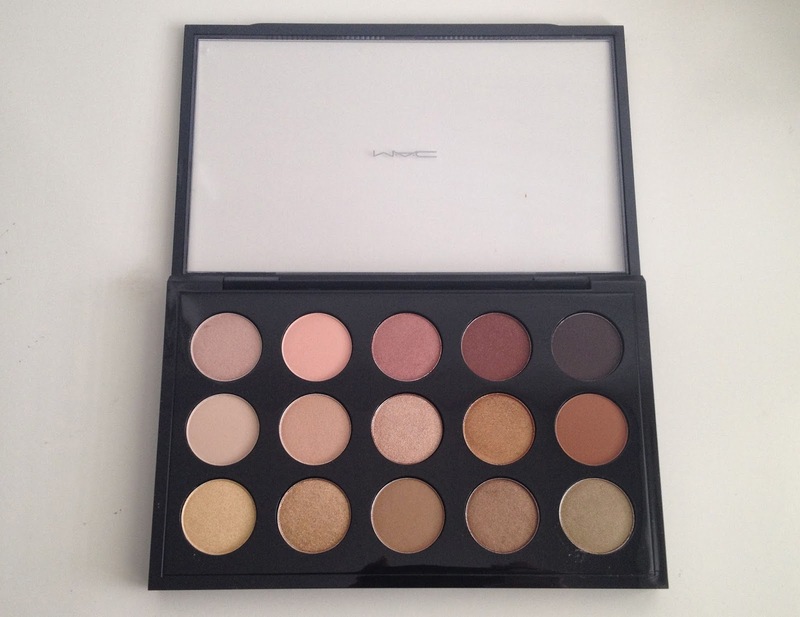 Pro-palette eyeshadows cost £10 each and the palette itself is £14 plus the cost of an insert (£6.50) means that you would spend £170.50 putting something like this together yourself. Assuming that you actually like the colours in these pre-packaged Warm and Cool Neutral Palettes then paying only £65 is actually a great deal! Having been primed for their release since January I was surprised to just stumble across them on the MAC website a couple of weeks ago, having heard no fanfare about their release. I wasn't sure whether I was leaning towards the warm or cool so I stuck the warm one in my online shopping basket, got distracted and finally came back to it two days later. Except they were now out of stock. Nearly every new release MAC post that I write has this familiar tale of deliberation followed by disappointment. Snooze you lose! So this time I called customer services and they were very helpful but told me they were out of stock and they had only had 300 to sell anyway. She said they were limited edition and my only chance was to try the stores although she didn't think they were destined for MAC concessions in department stores (she was wrong - read on!). Dutifully I signed up for stock alerts online - just in case. Then I started calling stores. I have ranted before about the lack of a MAC counter or store in the whole of Gloucestershire. I rang the Cardiff store and they had one warm palette in stock - but I would have to drive all the way to Cardiff to get it. This is a 3hr round trip and even my love of a MAC product was tested by that prospect. However the Cardiff store did deliver the fantastic news that the Neutral Palettes were to form part of their permanent line! Today I happened to be in Birmingham for the weekend and I just happened to be passing the MAC store on Cannon Street (ok - so in truth I was outside for 10 minutes waiting for it to open) and I found these elusive palettes in stock! I couldn't believe my luck and instantly bought the warm one without even swatching it. I should also mention that even though they are still out of stock on the MAC website I have literally just found them in stock (!!) at Debenhams HERE and HERE (think of the Beauty Club Card points you could earn or even redeem). The lovely girl I spoke to in the Birmingham MAC store told me she owns both the warm and the cool palettes and loves them, although she has been getting more use out of the warm one. She was wearing a warm reddish-brown matte shade called Saddle (which isn't usually available in the UK) around her eyes and it looked amazing! I will definitely try that look out for myself. She was a keen blog reader and I stupidly forgot to ask her name - so if you are reading this please say hi! Also your recommendations for shade combos will be very welcome too! I didn't already own any of the shades in the warm palette so I am really excited to have 15 new shades to play with now. The cool palette looked really pretty, full of greys, silvers and pinks. But in reality those colours can make me look tired and the golds, peaches and bronzes of the warm palette will be a better fit with my blue eyes. Something that is immediately noticeable is how there is a good mix of Matte, Satin, Frost and Veluxe Pearl finishes. I felt that the Urban Decay Naked Palettes fell down by having insufficient or not interesting enough matte shades. 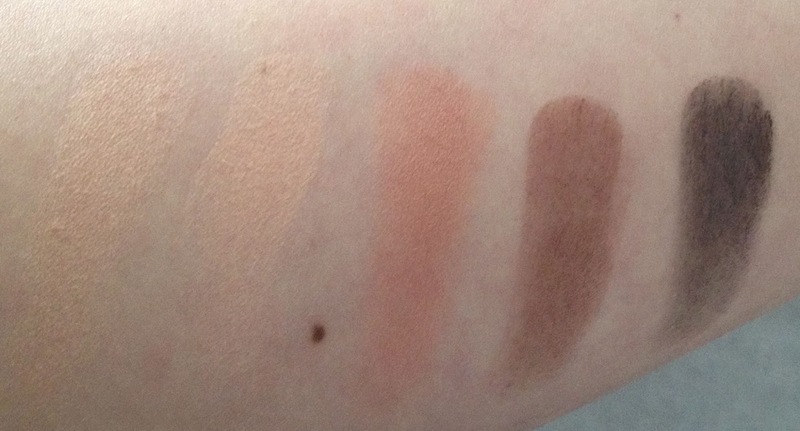 I have already posted about my love of a warm matte shadow to use as a transition colour (see my MAC Soft Brown Eyeshadow post HERE), it may not look exciting in the pan but is so useful day to day. Already I can see that Brule and Saddle are going to be well loved by me! I am also really keen to experiment with Unwind as it has a beautiful dirty gold almost khaki colour to it and is like nothing else that I own. This palette is definitely going to be a favourite amongst my extensive eyeshadow collection. 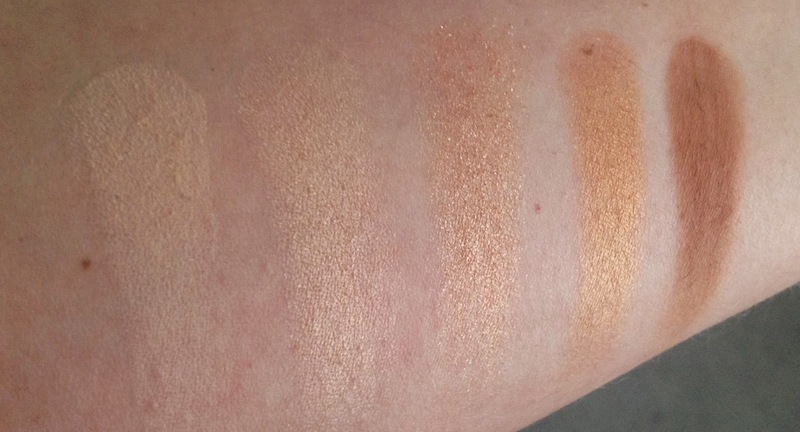 Some of the lighter shades were difficult to swatch, but one of my most used MAC eyeshadows is Orb, which is Matte and is basically the same colour as my skin. If I swatched it you wouldn't see it - but it makes a fantastic base colour! So I won't worry about struggling with the paler shades in my warm palette just yet. 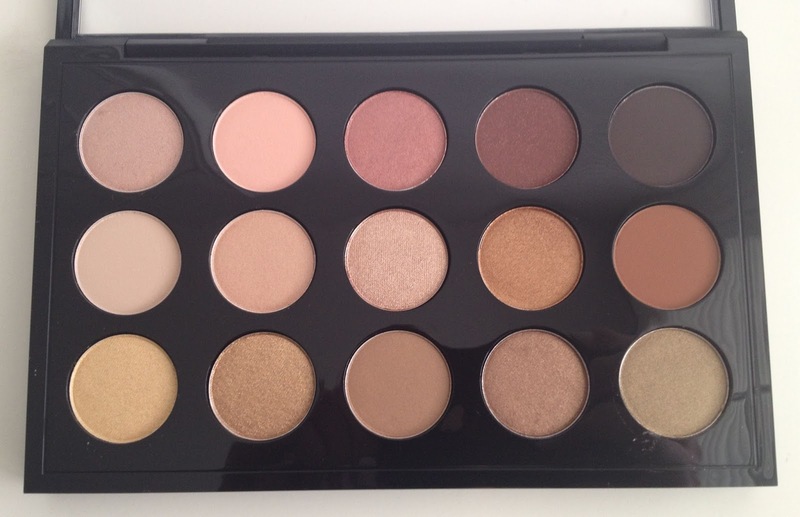 Have you managed to get hold of the MAC Neutral Eyeshadow Palettes? Which one would you wear the most, the warm or the cool? 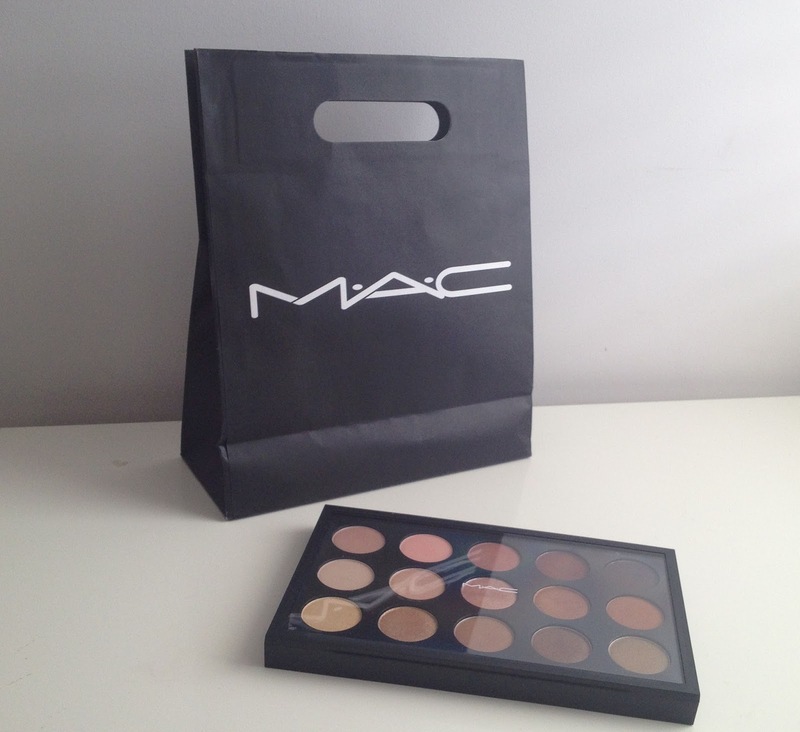 The MAC Neutral Eyeshadow Palettes are £65 and you can find the Warm Palette HERE and the Cool Palette HERE. Ouhhh, a very nice selection of neutrals. It is beautiful - I'm really enjoying using it! They are, I'm still using it every single day.